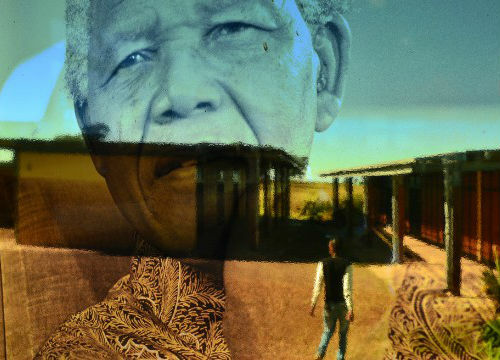 Richard Stengel, who collaborated with Nelson Mandela on Mandela's best-selling 1993 autobiography, Long Walk To Freedom, wrote an article for Time Magazine in 2008 in which he extracted 8 lessons of leadership from Mandela's life. As one who just assumed additional leadership responsibilities in my ministerial work and secular life, I was fascinated by these lessons and thought it best to also share them with you our EMB readers. And even if you are not in leadership positions, they are lessons I believe that can be applied to our everyday lives. 1.) Courage is not the absence of fear - it's inspiring others to move beyond it. "I can't pretend that I'm brave and that I can beat the whole world. But as a leader, you cannot let people know. You must put up a front." He knew that he was a model for others, and that gave him strength to triumph over his own fear. For Mandela, refusing to negotiate was about tactics not principles. Throughout his life, he has always made that distinction. His unwavering principle - the overthrow of apartheid and the achievement of one man, one vote - was immutable, but almost anything that helped him get to that goal he regarded as a tactic. He is the most pragmatic of idealists. Mandela loved to reminisce about his boyhood and his lazy afternoons herding cattle. "You know," he would say, "you can only lead them from behind." He would then raise his eyebrows to make sure I get the analogy. The trick of leadership is allowing yourself to be led too. "It is wise," he said, "to persuade people to do things and make them think it was their own idea." As far back as the 1960s, Mandela began studying Afrikaans, the language of the white South Africans who created apartheid. His comrades in the ANC teased him about it, but he wanted to understand the Afrikaner's worldview; he knew that one day he would be fighting them or negotiating with them, and either way, his destiny was tied to theirs. He even brushed up on his knowledge of rugby, the Afrikaners' beloved sport, so he would be able to compare notes on teams and players. Mandela is a man of invincible charm - and he has often used that charm to even greater effect on his rivals than on his allies. He cherished loyalty, but he was never obsessed by it. After all, he used to say, "people act in their own interest." It was simply a fact of human nature, not a flaw or a defect. The flip side of being an optimist - and he is one - is trusting people too much. But Mandela recognized that the way to deal with those he didn't trust was to neutralize them with charm. When Mandela was running for the presidency in 1994, he knew that symbols mattered as much as substance. He was never a great public speaker, and people often tuned out what he was saying after the first few minutes. But more important was that dazzling, beatific, all inclusive smile. For white South Africans, the smile symbolized Mandela's lack of bitterness and suggested that he was sympathetic to them. To black voters, it said, I am the happy warrior, and he will triumph. Mandela is comfortable with contradiction. As a politician, he was a pragmatist who saw the world as infinitely nuanced. Every problem has many causes. Mandela's calculus was always, What is the end that I seek, and what is the most practical way to get there? Knowing how to abandon a failed idea, task or relationship is often the most difficult kind of decision a leader has to make. He knows that leaders lead as much by what they choose no to do as what they do. Trust that you have found this article useful. We would love to hear your thoughts, reflection and the lessons that you have learned personally as you pursue life and leadership. These are all great lessons from Mandela's life. He will be an inspiration for generations to come. He is truly a man who has left his mark on humanity. Most definitely Kalley! He has certainly been an inspiration to me, ever since I first heard about him. Words of wisdom by one of life's leading figures. " Appearances matter and remember to smile." Powerful words to remember. He will be remembered for decades. I salute Nelson Mandella. A great man indeed Ava and one who many will miss. What I love though is the legacy that he has left behind.